Should the meniscal tear which is decided for operation be immediately operated? Meniscuses are the cartilage structures having crescent shape which perform various functions such as protection of the joint, ensuring its stability and feeding the joint cartilage. Meniscal tears could occur in various way. Whereas these occur as a result of forcing or sports trauma in young active patients, they may also occur as a result of degeneration that occurs due to decrease of water content of tissues above middle ages. On the contrary to what is known, meniscal tear is not only a sportsman disease. Since issue is taken to the media when professional sportsman are injured, this disease is perceived as one which is only found in sportsman. Yet, this occurs more frequently in normal individuals above middle age. Due to the fact that MR imaging method is easily accessible today, MR is applied for every patient who has knee pain, and a perception is widespread that it is a must to perform surgery if the MR report mentions meniscal tear. However, it should not be forgotten that there are other reasons than meniscal tear which lead to knee pain. The fact that there is meniscal tear in the MR report of the patient does not mean that the pain is dependent on this tear. A detailed knee examination should be performed on the patient who applies to orthopedic polyclinic with knee pain. Then it is decided to treat the meniscal tear, the treatment is surgical. Meniscal tear could not be treated with drug. What is the surgical treatment applied in meniscal tear? Arthroscopic surgery is applied in meniscal tear. The joint is accessed through pipes with camera(optic) under operating room conditions and under anesthesia without opening the joint, and closed surgery is performed by seeing the joint through the monitor. The patient is discharged on the same day and sometimes after one night of hospitalization. Whose meniscal tear should be immediately treated? Meniscal tear should be immediately treated in young people and sportsman. Meniscuses are very beneficial structures for the knee joint. There is a possibility of healing of some tears when stitched, however, the rate of success becomes less in chronical tears. For that reason, the torn part should be removed. In particular, if the meniscal tear is not treated in the long run, the joint cartilage could be damaged due to the roughness that occur on joint surface of the tear is not treated, in addition to the pain that it will cause. However, in patients above middle age, since the joint cartilage is worn with age, there is no need to perform surgery only by the indication of meniscal tear in MR report, if the patient has no pain and locking complaint due to tear. Is ever knee pain a meniscal tear? I would like to underline an issue which is mostly ignored or undermined in patients with meniscal tear today. Performing a surgery immediately without any detailed examination only by seeing the meniscal tear expression in the MR report may lead to irreversible consequences. The chondromalacia patella disease is a condition which is seen almost in all of patients with chronical meniscal tear. Since the patient uses that side of his leg less due to the meniscal tear, muscle weakening occurs on that leg, as a result of which the patella makes excessive fractioning and cartilage softening occurs after a while. Operating these patients immediately for meniscal tear will further increase muscle weakness, causing the pain of the patient to increase more after the operation. The patient may require long period of physical examination for overcoming these pains. For that reason, it is very important to perform detailed examination a patient who applies polyclinics for knee pain complaint and to distinguish whether this pain is due to meniscal tear or softening of the patella cartilage. Before performing meniscal tear operating, we prescribe muscle strengthening exercise for minimum 20 days if there is cartilage softening due to muscle weakening before performing a surgery. We examine the patient whose knee pains are over after examine, and decide whether operation is necessary for the meniscal tear. 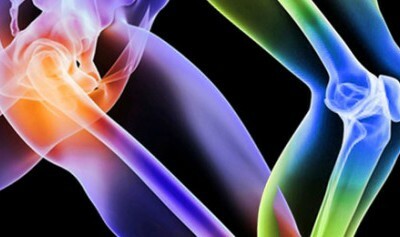 What İs the treatment of articular cartilage damage?